You are about to enter in to an amazing time of year….summer vacation. The days are long, the weather is warm, and the bedtime is negotiable. You will soon have even more time to play and explore, and hopefully….time to be bored. I used to love summer vacation so much when I was a kid. Every day I would walk outside to find friends riding bikes, playing ball, or chasing each other for no particular reason. Some days we would play all day, moving from sport to sport and backyard to backyard. But other days, I couldn’t find any of my friends around the neighborhood, and so I was left to being bored. But in being bored a world of opportunity opened up for me. I didn’t realize the that what I considered boredom was actually freedom. Freedom to make up alien worlds and fight bad guys, freedom to ride my back with the wind at my face. Freedom to push down a row of corn in order to create the perfect hiding spot. You will probably come to me one day during the summer and complain that “you’re bored” and have “nothing to do”. Just know that your Mother and I will not try to “script” every moment of your summer….create a schedule for you that constantly keeps you moving from one planned activity to another. I know that you (like me) will not like it that much at first . When you’re young you spend lots of time running from boredom, only to look back years later and long for one of those long, uneventful days. 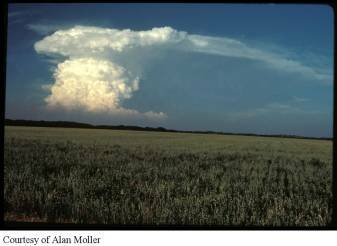 But in your boredom you may have the privilege of standing before a summer thunderstorm as it rolls toward you, or spread out in the grass, lay on your back, and stare up at the sky….realizing how small you are in this great big universe. In your boredom you may just learn more than you every could in your busyness. It’s not boring kids….it’s summer vacation.